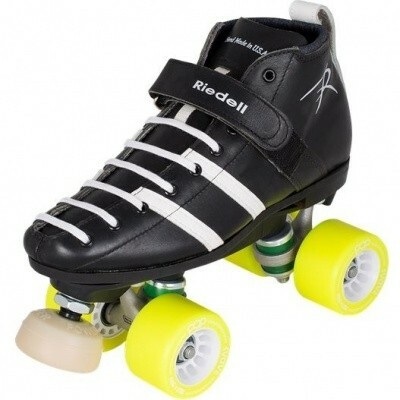 A great intermediate roller derby skate, the Riedell Vendetta makes it easy and affordable to get into a Riedell performance boot. The Vendetta starts with our comfortable and durable Model 265 boot. That is paired with the fiberglass re-inforced PowerDyne Reactor Fuse nylon plate. The Vendetta is completed with the Radar Pop, the perfect wheel for derby skaters looking for a grippy, long-lasting wheel, KwiK Zenith bearings that provide a long smooth roll, and PowerDyne Jupiter Toe Stops that provide a stable base and amazing grip.